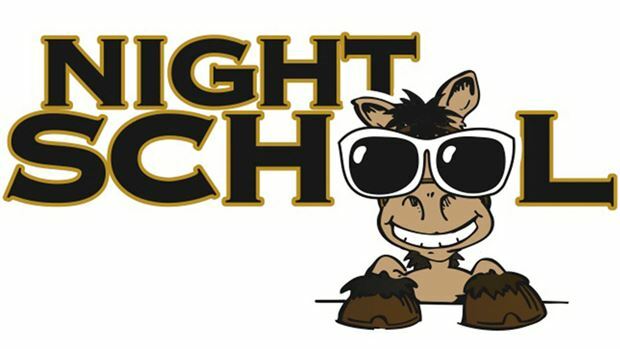 Week 27 of the Night School national online fan education program features a long-form video presentation of “Physicality/Visual Handicapping” as horseplayers are taken into the paddock with the experts. The 50-minute presentation includes on-the-scene analysis from Night School’s Caton Bredar, as the veteran television commentator and horsewoman explain what to look for in real time. Video insights from NYRA paddock handicapper Maggie Wolfendale also are featured, as well as harness tips from Balmoral Park’s Tom Kelley and simulcast players’ viewpoints from Night School’s Joe Kristufek and Jeremy Plonk. Following the premiere of the “Physicality/Visual Handicapping Video” a Q&A with the fans will commence, hosted by Plonk and Churchill Downs’ paddock handicapper Jill Byrne. The session also will include a preview of the all-new September racing season at Churchill Downs. This week’s Night School will be followed at 10:00 p.m. ET by the “After Night School Special,” featuring live racing from Mountaineer Park. The segment will cover the evening’s final race in real time with free, live-streaming video. Fans wishing to take part in the Mountaineer action simply need to remain in the Night School chat after class. Complimentary past performances are available, courtesy of BRIS. The Night School Tour, fresh off an on-track seminar this past Labor Day at Parx, will make its second stop in five days when it rolls into Kentucky Downs, located in Franklin, Ky., for the opening of their boutique meet this Saturday.